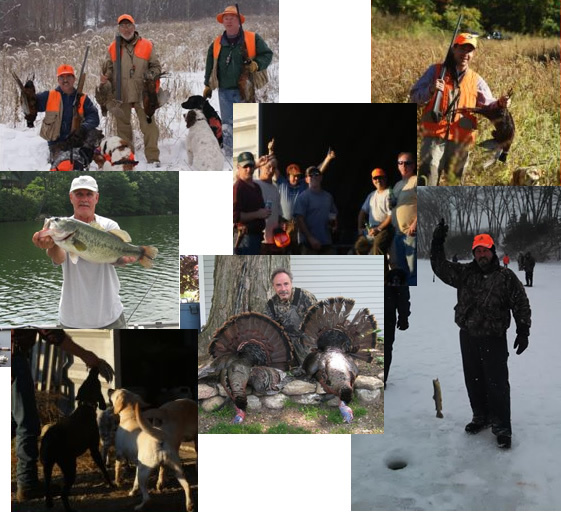 Newtown Fish and Game Club, Inc. (NF&GC) strives to provide its membership with the finest trout fishing and pheasant hunting available in Western Connecticut. Special emphasis is directed toward fostering the involvement of youth in these sports. All activities are conducted with a special concern that, as custodians of these resources, all members have an obligation to protect and preserve our sensitive environment. The Club owns approximately 160 acres and leases over 1,000 acres in Western Connecticut. We offer premier phea sant hunting with regular stockings of those properties available to the Club twice per week during the hunting season. More than 2,000 pheasants are typically stocked per season. A special winter season is available for members who wish to extend their pheasant hunting after the end of the normal stocking period. Deer and turkey hunting are also available on Club property. Our primary resource for fishing is a scenic 125-acre spring fed lake in Newtown, CT. The lake is well stocked for trout fishing from shore or small-boat with a number of stockings planned each season including special releases for ice fishing. No gasoline engines are allowed on the lake but electric motors are permitted. Our Club provides small-boat lake-front storage as well as a boat launch. The lake also offers excellent small and large mouth bass fishing. The Club owned shore-front property has a pavilion that can be used by members and their family for lakeside activities and recreation. Club membership is open for new members. To learn more about membership and how to join click here.